Letter plates, or letter box covers from The Door Knocker Company are cast using traditional methods from brass or iron and are either polished and left to age naturally or lacquered, chrome or nickel plated. The iron is finished with a black powder coating. Letter plates keep draughts out of the house as well as adding a decorative element to the front door. 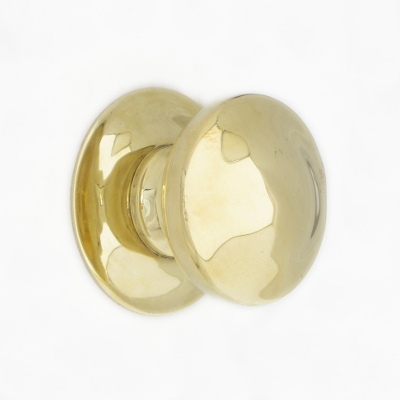 A brass, chrome or black inner tidy, keeps the inside of the door tidy too. Letter box covers can be plain or decorative, often letters is written accross the flap or there may be an inclusive door knocker or rapper. An ornate Art Nouveau design letter box cover with LETTERS cast into the flap. A heavyplain cast brass letter box cover has a polished, unlacquered finish ideal for a front door renovation. A heavy plain cast brass letter plate has a polished, unlacquered finish and door knocker attached. A heavy cast brass letter plate with "LETTERS" cast on the flap. Hand polished and unlacquered finish. A heavy cast brass letter plate with "LETTERS" cast on the flap and a door knocker attached. Hand polished and unlacquered finish. A heavy solid brass letter box inner tidy with a draught and noise excluding foam inner. Only suitable for use with certain letter boxes. 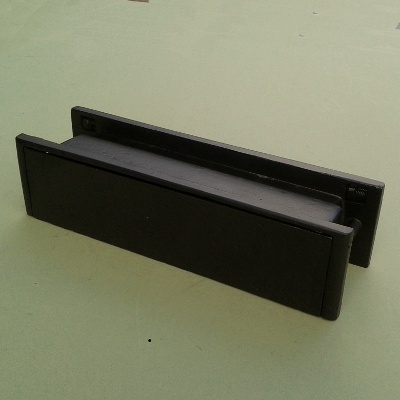 Our black cast iron letter box cover with a hammered finish and black powder coating. Sizes: 275mm (10 3/4") wide x 107mm (4.2") high. A smooth large black letter plate with a durable powder coat finish. Matches other black door furniture in our range. A plain letter plate with weather proof pewter finish. The black postal knocker is a hammered black letter plate with an integral door knocker. Powder coated finish. Sizes: 310mm (12 1/4") wide x 110mm (4 1/4") high. A traditional plain cast brass letter plate with a highly polished finish which is unlacquered. A plain polished nickel letter plate in 2 sizes. A traditional plain cast brass letter plate with a lacquered finish. Compatible with our other lacquered door furniture. A traditional plain cast letter plate or letter box cover, with a polished chrome finish. Compatible with our other chrome door furniture. This is a pressed brass inner tidy designed to cover up the hole and letter box fixings on the inside of the door. Sizes: small. 280mm (11") wide x 85mm (3.3") high. Large. 305mm (12") wide x 80mm (3.1") high. This is a pressed chrome inner tidy designed to cover up the hole and letter box fixings on the inside of the door. Sizes: 305mm (12") wide x 80mm (3.1") high.